IN 1946 with the Second World War ending there was an acute shortage of teachers with soldiers returning home from the war and I missed out on teacher training. Beginning my teaching career was a challenge especially when I was given a class of 66 boys but in those days pupils were more co-operative. Also parents loyally supported Catholic schools and the one I was sent to, Villa Maria at Hunters Hill, had a keen and innovative principal. He kept the students happy with a variety of competitions and rewards and insisted that devotion to Mary was to be nurtured. We said the Rosary each day and most students had their own Rosary beads. 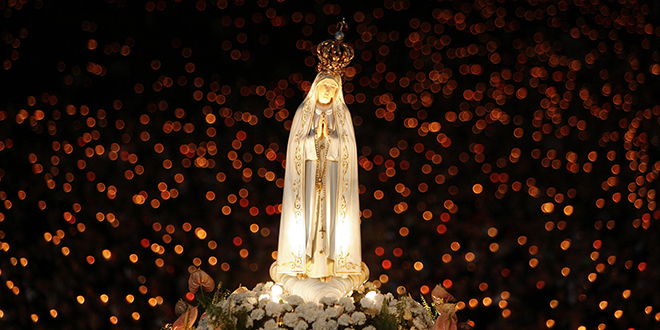 October, the month of the Rosary, meant a competition for the best altar in honour of Our Lady. As a beginning teacher with a mother and five sisters living nearby, my class was able to put up a spectacular altar with satin drapes, flowers, candles and topped by an oversize rosary made from cricket and tennis balls. We won the competition and got the half-holiday prize. It helped us develop a good class spirit and learn that the Good News message of Jesus is in truth good news and that spirituality is more about a relationship with God than just repeating prayer words. Reflecting on Mary’s life to form a loving relationship with her can be a mighty help in this. Praying to Mary as God’s Mother helps us to develop an inner peace and a confidence in our role in God’s ongoing Creation. We should remember that to all appearances she was a normal Jewish teenager who had to cope with the usual teenage experiences. She was engaged to Joseph but not living with him when he noticed she was pregnant. Joseph is told in a dream that the “child conceived within Mary is from the Holy Spirit” and this clears it up for him but it was not made public and so the locals think of, and treat her as an unmarried teenage mother. Things do not go smoothly for her. Then she learns that her cousin Elizabeth is with child so she sets out in haste to undertake a difficult and dangerous journey to the hill country. Mary’s greeting to Elizabeth gives us an insight into her deep, joyful spirituality and trust in God. When Mary’s time was almost up, she and Joseph had to go to Bethlehem, a rugged journey of about three days. Joseph and Mary, needing privacy above all else, get accommodation in a stable and this is where Jesus is born. It is a foretaste of what Jesus and Mary will have to cope with. So during Mary’s pregnancy, although she is aware of the honour, she has to battle her way through the usual trials, just like the mothers we know. She is indeed a model for us in today’s world.